San Juan Islands - what's to like? Re: San Juan Islands - what's to like? Everything.... The San Juans are one the most beautiful place in the country in my opinion. A friend owns a home on Vashon (not part of the San Juans but a short distance away) and have spent a lot of time cycling up there. My friend doesn’t live in the San Juan’s, she lives on Vashon. I thought made that clear in my reply, sorry. So thats irrelevant to how much I like it. The scenery is great and the roads are quiet. Hard to get both in one. Seeing the orcas and the sunsets are some of the best I’ve ever seen. It’s relaxing to me. I live in NW Washington. Each place has its own background noise and view. Last cycle tour my friend and I took was to Orcas Island. We road the whole Island to Obstruction Bay, carried our gear a couple miles into the camp ground, and slept 50 feet from the salt water. 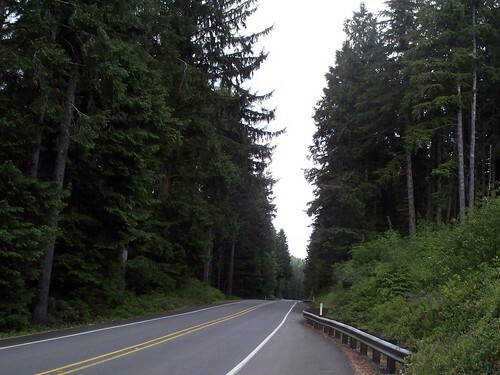 The scenery from the roads is mostly woods and farmland. But the campground was just above the water. It’s all good. My favorite ride is SR 20 over Rainy Pass to Winthrop. It’s not the best view of the North Cascade ranges. The view is blocked by lower mountains. But it’s still a great ride. I cannot afford to go to Chile or the Alps, or Tuscany or Scotland. I get to ride here, and maybe in The Columbia wine country. But each region has its gems. I love this area for what it has to give. And I assume that every place has something to offer. Life is so good. I like riding the San Juan Islands. I've been going there pretty much every year to bike tour since 2013. Like the other folks in the "like" column, I dig its peaceful roads and bucolic scenery. I realize that I'm not going to get an awesome view of the water around every corner, but I'm okay with it and am appreciative when I do get that view. Also, the islands have a nice assortment of campgrounds. The county parks on San Juan, Lopez, and Shaw have hiker/biker sites, plus Spencer Spit State Park on Lopez. (I forget if Moran State Park has them, I've never camped there.) There's also some "bike turnouts" and rest areas on some of the busier roads. It's easy to get the idea that "coastal" or "island" means you are going to see water all the time. The reality is different. In the case of the San Juans, they didn't build ring roads around the islands, and there's only random spots where the roads follow the shore.